to design a new quilt using her fabulous new range of fabrics called Rockpool. I wanted to design a fresh bright quilt and also wanted to use stars. 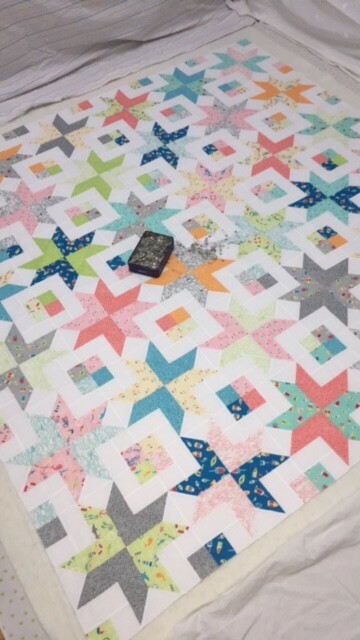 It's been a while since I have incorporated stars into my quilts to I was looking forward to the challenge. 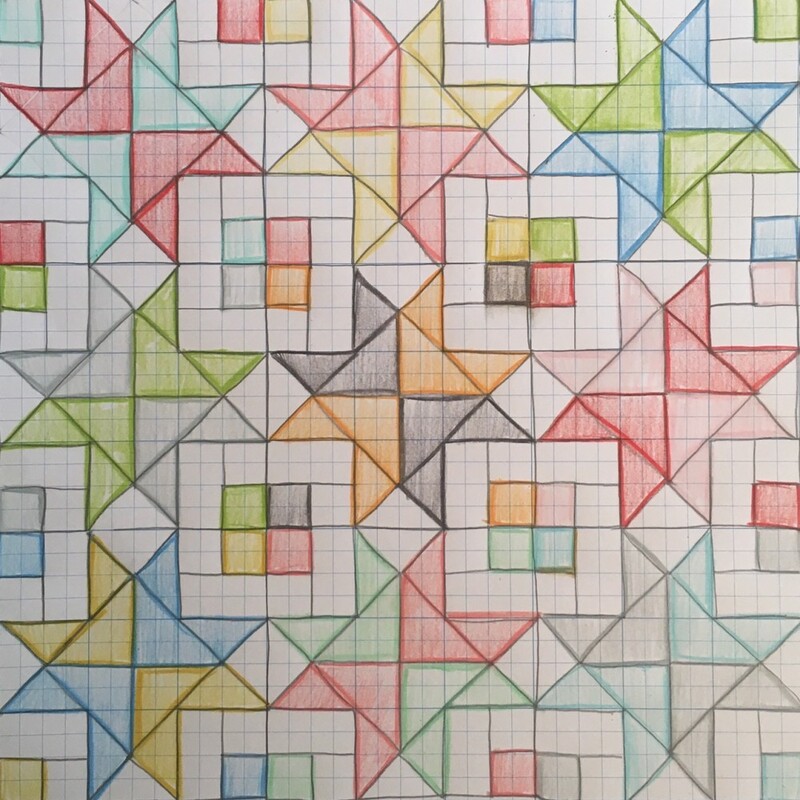 So first I got out my graph paper and pencils. Then once the fabric arrived I started sewing like the wind! to see if I had room to baste. Lucky I did! 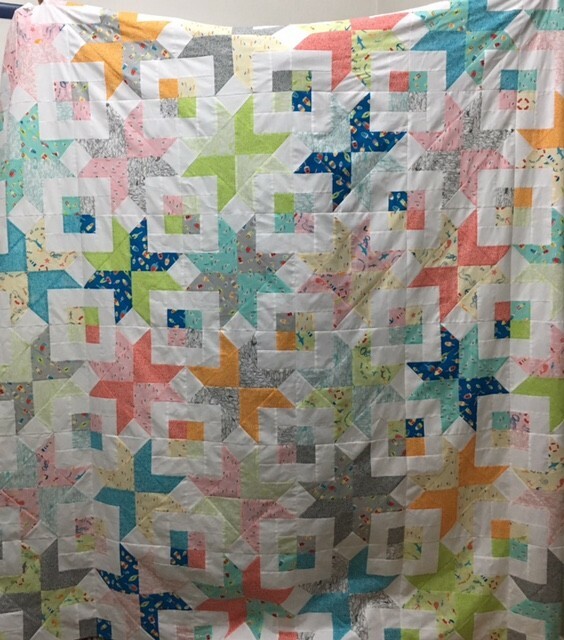 I wanted to quilt it quickly but I also wanted to do lots of straight line quilting. I was working and teaching at this time so I had to quilt late into the night. Then onto binding. I decided to bind with a black and white stripe - my favourite! and unfortunately couldn't make the move with me to Melbourne. not to mention the lack of fences at my new place. I think about her everyday and really wanted something to remember her by. Pat Heney: I love Bronte's Stars...even more since I learned it is named after your puppy. We have two Golden sisters who will be 13 this summer also! I bought the pattern and am starting it, but I was trying to make the hourglass center out of two squares instead of 4 7/8" triangles. Could you tell me the size of the hourglass square before it is sewn into the block? Thanks so much!